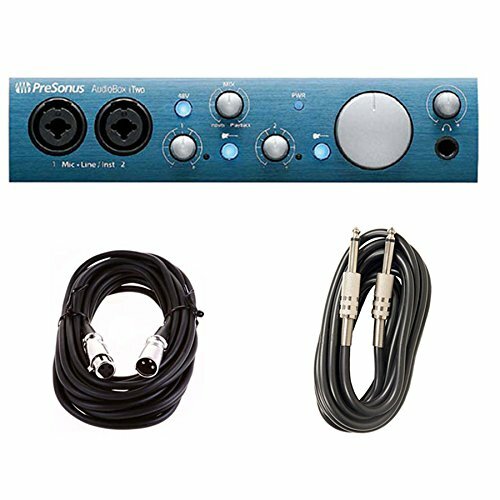 We believe Presonus succeeds in providing a high-quality product at an affordable rate through their AudioBox iTwo. We come across different kinds of products in our search for the best products for you on Taber’s Best Reviews. This time, we are reviewing a new audio interface. The name of this interface is the PreSonus AudioBox iTwo. Reviews are essential as they help a person to know everything about the respective products without exerting much effort. This review is to perform that same function as well. This iTwo analysis will help you in understanding everything about this product. You will find this information will remove confusions and doubts about the iTwo helping you to make an informed decision as to the usefulness of this product for you. We believe Presonus succeeds in providing a high-quality product at an affordable rate through their iTwo. The price tag on this product is generally under $200.00, which, when compared to other products on the market, is relatively less. Other manufacturers charge humongous amounts of money for such high-quality products. That is why iTwo is a leading product in this price range. The small size and weight of this product took us by surprise, as we did not expect it to deliver the quality of sound it does. We are confident you will feel surprised by the sound quality of this product as well. Apart from that, it comes with two cables for different purposes. You will be able to start utilizing it right away. The easy to use interface of this product reduces the time it takes to become proficient with it. In conclusion, we can say that the AudioBox iTwo is a good buy for a person who is looking for an affordable yet high-quality audio recording interface. It does not disappoint in professional use as well. The two-combo instrument/mic inputs with Phantom Power along with a 1×1 MDI in/out assures the user gets the best recording experience. The headphone output performs well too. Therefore, you do not have to worry about the sound quality of this product. Additional cables: You will receive two extra cables along with your iTwo. The first cable is a 20ft. 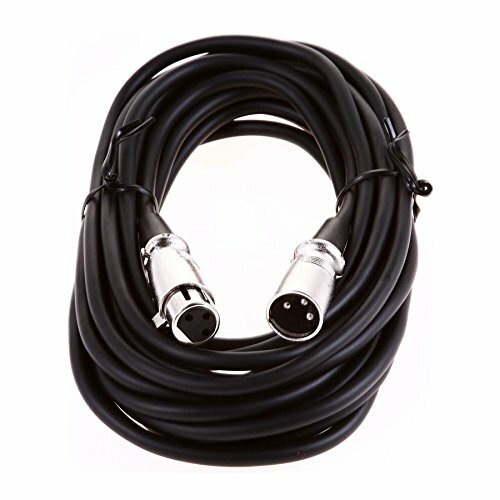 XLR cable for microphones. The second one is a 10ft. Instrument cable for your other needs. 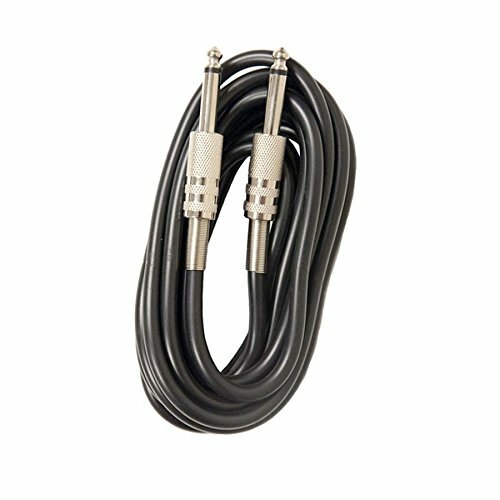 You can use the instrument cable to connect your guitar or bass with your interface. Extended Warranty: You can get an extended warranty of one year through Sonic Sense. This will come with the one-year manufacturer warranty. Not many products come with this excellent warranty benefit. Portability: The most significant feature of this product is its portability. It is suitable for on-the-go professionals because they can carry it anywhere without difficulty. Phantom Power: Its two inputs provide ‘Phantom Power’ as well. This feature lets the device send DC power through the cable, which carries the audio signal. Thus, it performs two functions at once making the process better. Operational: The user interface is of appreciable quality. You will not have to spend much time familiarizing yourself with this device. This is another significant advantage of this product. Build quality: The materials used to build this device are of very high quality. People at Presonus made sure that the product will last for a long time. Therefore, you do not have to worry about its durability. Size: iTwo has a very compact size, which enables easy transportation of the same. It helps in space management too. You will be able to travel with this product. Even though it is small in size, your music experience will be broad in value. Efficient working: It is a fast-paced audio recording interface. The simple user interface aids in making the function of the device more efficient and smoother. Quality of sound: Its 96 kHz, 24-bit digital converters assure that you get pristine quality sound. The headphone output of this device is beyond the competition. We were dazzled by the sound quality. Variety of plug-ins: Presonus provides some plug-ins with their iTwo. This will help you in setting up your recording experience quickly and immediately. Carry it anywhere: You can carry it around and produce amazing sounds. The small size and weight enable you to take it with ease. No issues with audio: Presonus has successfully implemented its digital converters in this product so you will not have trouble with the audio quality. Powerful functionality: You can connect your iTwo with an iPad and begin working anywhere. It enhances the user experience of this product and lets the user create great sounds with ease. Battery: The battery could be troublesome for some users. It has a low battery life, making it difficult to use for extended periods of time. Only for iPad: Another major drawback of this product is that it functions only with iPad portable devices. You can use it with Microsoft PCs and Macs, but they are not portable. You will not have any problem while traveling with this product. It weighs only 3.3 pounds and has dimensions of 10x10x3 inches. Therefore, you can go with it quickly. Is it suitable for professional use? Yes, you can use this product for professional purposes too. The audio delivery of this product is exceptional, so you will not have to put much effort into using it professionally. However, make sure to keep it well charged. PreSonus is the product of two innovative, ambitious and passionate LSU Engineering graduates, namely, Brian Smith and Jim Odom. Both of them adore music and music production. This is a rapidly growing business organization that strives to deliver high-quality audio products only. They are also aware of the environment as they have undertaken some initiatives in this regard. 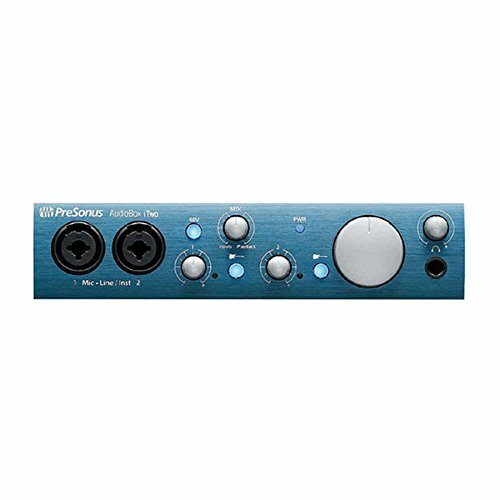 You can check out www.presonus.com to find out more about them. What Is The Best Price For The iTwo Online? What Is The Best Audio Interface for Ableton Live Performance? What Is The Best Audio Interface for Voice Over?